Once our Romsey house sit was over, it was time to head up to the northern part of Australia to meet my sister and brother-in-law in Cairns, where they traveled to SCUBA dive the Great Barrier Reef. 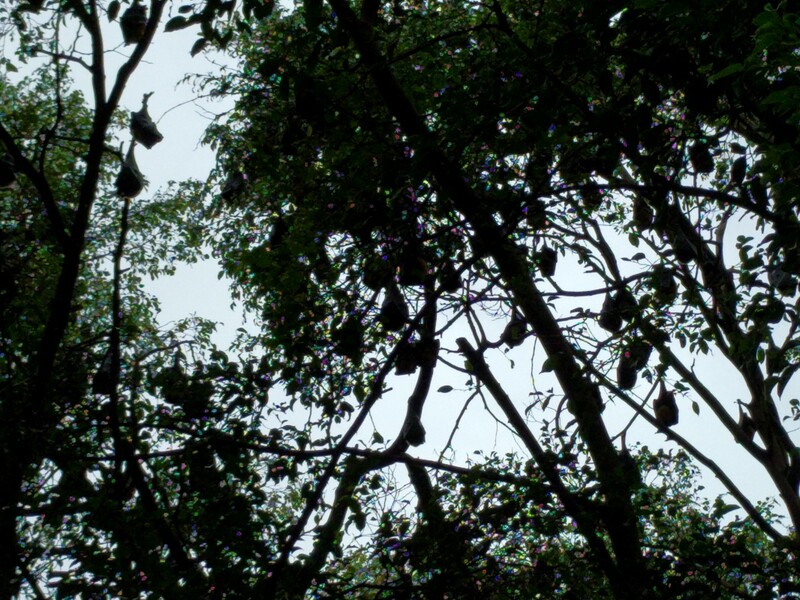 After a day in town (and a visit to the aptly named Bat Tree), we rented a car and drove up to the Daintree Rainforest. Bat tree in Cairns. There is probably–no joke–over 100 bats in this photo. When you think of rainforests, you probably picture green jungle vines and masses of plants everywhere. That’s EXACTLY what the Daintree Rainforest looked like. We stayed in what was essentially a permanent tent structure where we could hear rain pound on the canvas roof all night, the four of us lost badly at an Aussie trivia night in the local bar, and then we saw a prehistoric bird cross the street. 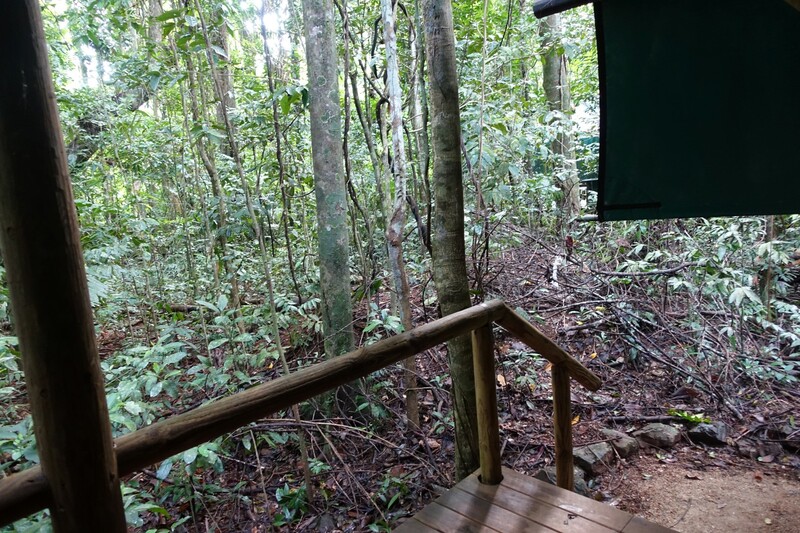 Basically your perfect rainforest experience. We also went to an exotic fruit tasting. We sampled breadfruit chips, passion fruit, canistel (yellow sapote), yellow mangosteen, black sapote, jaboticaba, sapodilla (chico), abiu, custard apple, and sour sop.. Some were meh (I’m looking at you, black sapote! “Chocolate pudding” fruit, my foot! ), while others were absolutely delicious (passion fruit, you stole my heart that day). 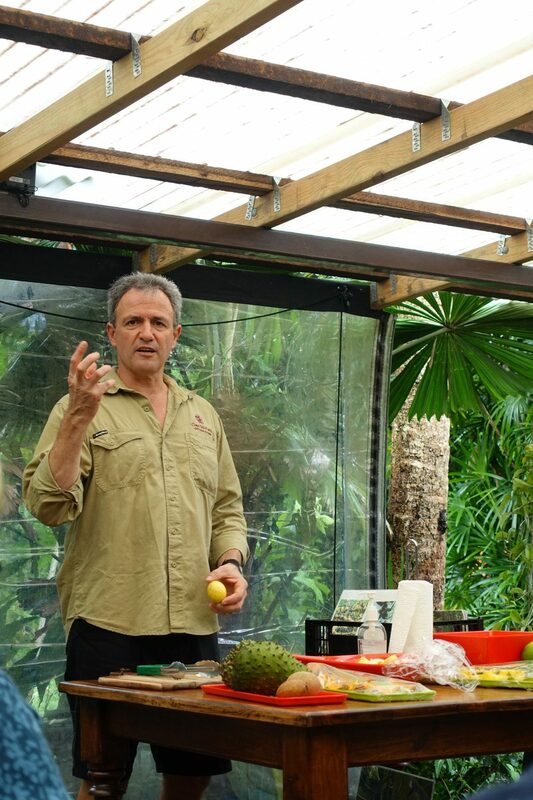 Lecture on the many exotic fruits we were about to taste. The nice people who ran the tasting quickly learned to bring any extra pieces over to me, and I enjoyed second (third, fourth, whatever) helpings of all the best ones. 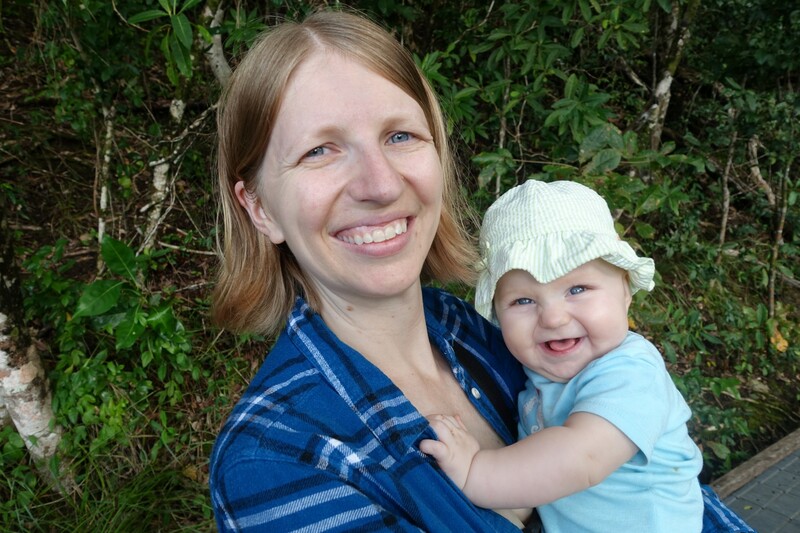 I’m a breastfeeding mom, so it’s not rude. I need sustenance! 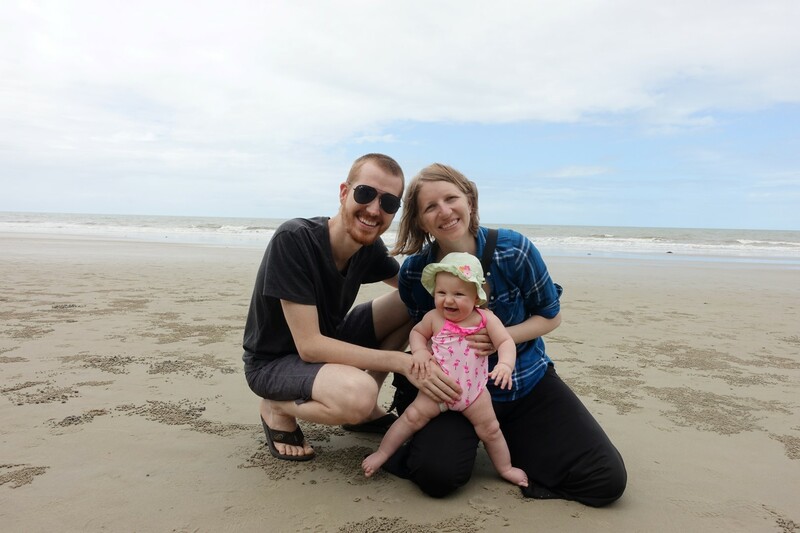 After all the fun in the rainforest, we went to Port Douglas. Joe and I stayed there for several days in a very nice hotel (thanks, travel hacking!). 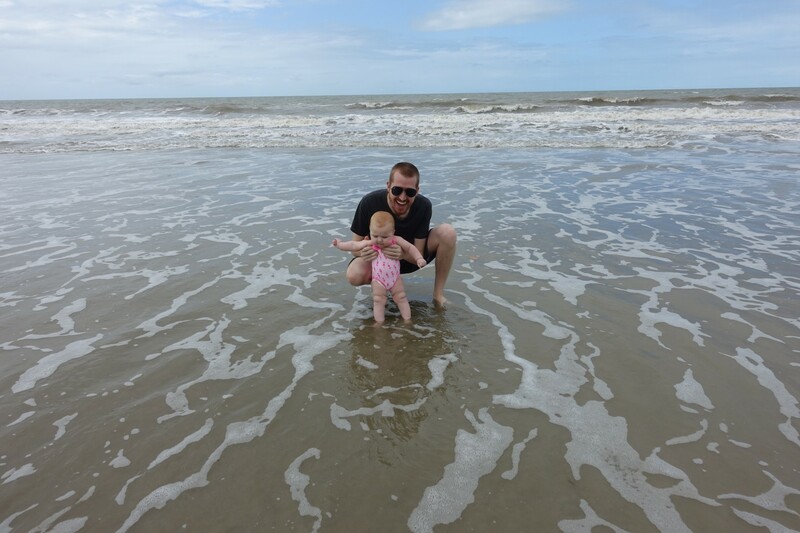 We spent our time playing in the pools and teaching Annabelle about sand. Mainly that you shouldn’t eat it. I don’t think she ever quite caught on. Our fancy hotel. Free. Thanks travel hacking! 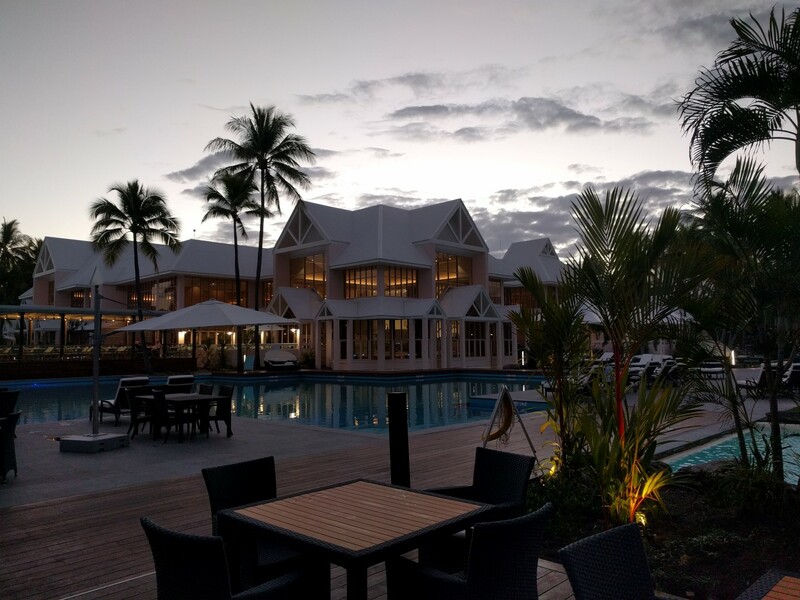 Port Douglas is a tourist beach town for older, wealthier people. Since we don’t really do the old-and-wealthy thing, we had to figure out a way to eat that wouldn’t cost a ridiculous amount. Genius solution: the rice cooker. Our first day in Port Douglas, we bought a rice cooker at the local Target. For the whole time we were there, we had that thing to cook rice, as well as broccoli, chicken, and even scrambled eggs. We may have been staying in a classy hotel, but that didn’t mean we had to act like it! 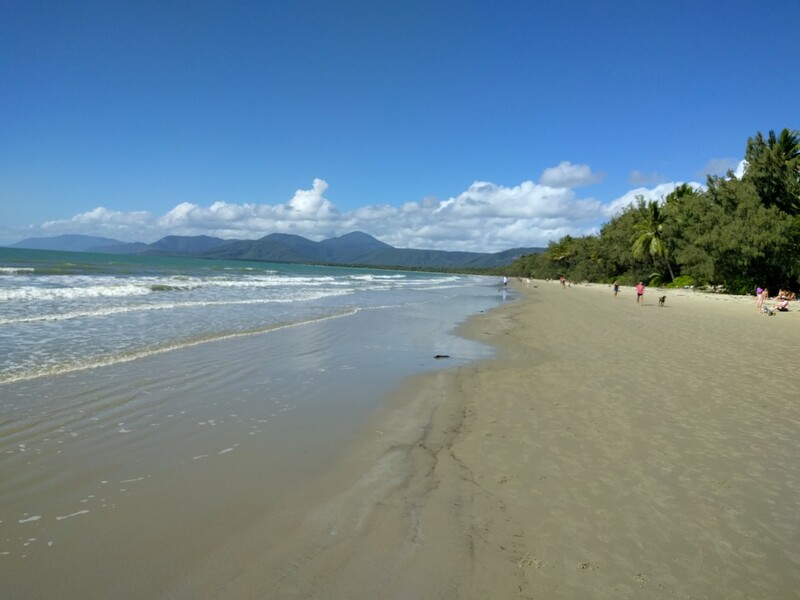 After our time in Port Douglas, we headed back to Cairns a day or two before our flight out of Australia because we wanted to go out to see the Great Barrier Reef for ourselves while we had the opportunity. The morning of our excursion, we headed to the docks and hopped on our boat. Joe’s SCUBA certified, so once we got out to the first site on the reef, he climbed into his gear and went out with the SCUBA group while I chilled with Annabelle on the boat. When he came up, he took the baby and it was my turn to snorkel the Great Barrier Reef. The water was clear and the reef was so close to the surface (despite how far we were from land) that it was a mind-boggling experience. I hung out with some fish, swam with a turtle, and just generally enjoyed looking around at the world going on a few feet (sometimes inches) below the water. The Great Barrier Reef is an amazing part of our planet, and it’s terribly sad that it’s getting destroyed. With that one-of-a-kind adventure to cap things off, we said good-bye to Australia and headed into Southeast Asia, where we planned to live for the next five-ish months.